BRUSH PRAIRIE — A roadside bomb killed three U.S. service members this week, including one from Brush Prairie. Army Sgt. 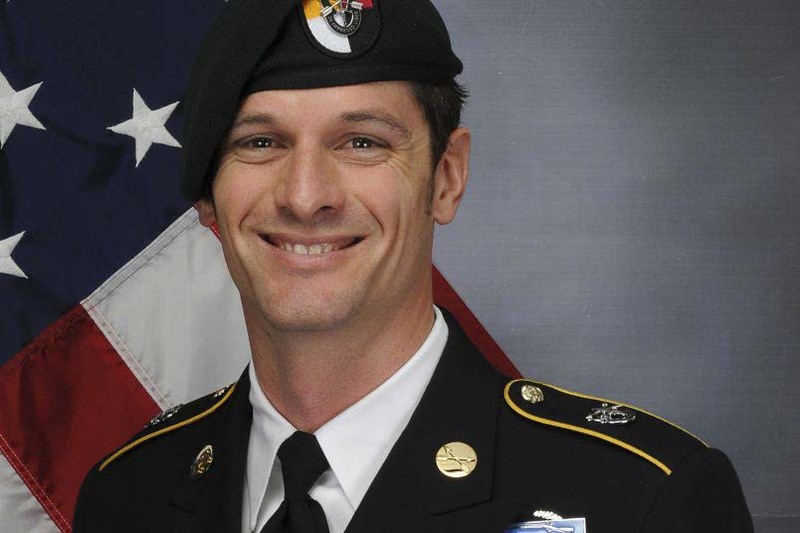 1st Class Eric Michael Emond, 39, died Tuesday after his vehicle was struck by an improvised explosive device (IED) in Andar, Ghazni Province, Afghanistan. The area has seen a resurgence of activity by the Taliban in recent months. Emond, a native of Boston, Mass., was assigned to the Army’s 1st Battalion, 3rd Special Forces Group (Airborne) out of Fort Bragg, North Carolina. Also killed were Army Captain Andrew Patrick Ross, 29, of Lexington, Virginia, as well as Air Force Staff Sgt. Dylan J. Elchin, 25, of Hookstown, Pennsylvania who was serving with the 26th Special Tactics Squadron at Cannon Air Force Base, New Mexico. Emond was on this seventh tour of duty. He had previously been awarded the Bronze Star Medal (3rd award), Purple Heart (2nd award), Meritorious Service Medal, Joint Service Commendation Medal, Joint Service Achievement Medal, NATO Achievement Medal (2nd award), Afghanistan Campaign Medal (4th award), NATO Medal, Army Good Conduct Medal, Marine Corps Good Conduct Medal, Overseas Service Ribbon (2nd award), National Defense Service Medal, Special Forces Tab, Ranger Tab, Combat Infantry Badge, and Combat Action Badge. Emond was posthumously awarded the Bronze Star Medal, Purple Heart and Meritorious Service Medal. He is survived by his wife and three children, according to a U.S. Special Operations Command (SOCOM) release. According to WCVB news in Boston, Emond was heavily involved in helping other families of fallen veterans. He helped found the group Massachusetts Fallen Heroes, which supports veterans of Iraq and Afghanistan and Gold Star Families from his home state. “He was the bedrock of the organization,” Dan Magoon, the foundation’s executive director and an Army veteran of Iraq and Afghanistan, told WCVB. Emond is survived by his wife and three children. Emond becomes the 22nd military service member with ties to Clark County to die during the wars in Iraq and Afghanistan. He is also the second special operations soldiers with ties to Washington State to die in recent weeks. Sgt. Leandro A.S. Jasso, 25, of Leavenworth was mortally wounded this past weekend during a firefight with al-Qaida forces in Nimruz province of Afghanistan. He later died of his injuries. Jasso was assigned to 2nd Battalion, 75th Ranger Regiment. Washington Gov. Jay Inslee issued a statement Wednesday.